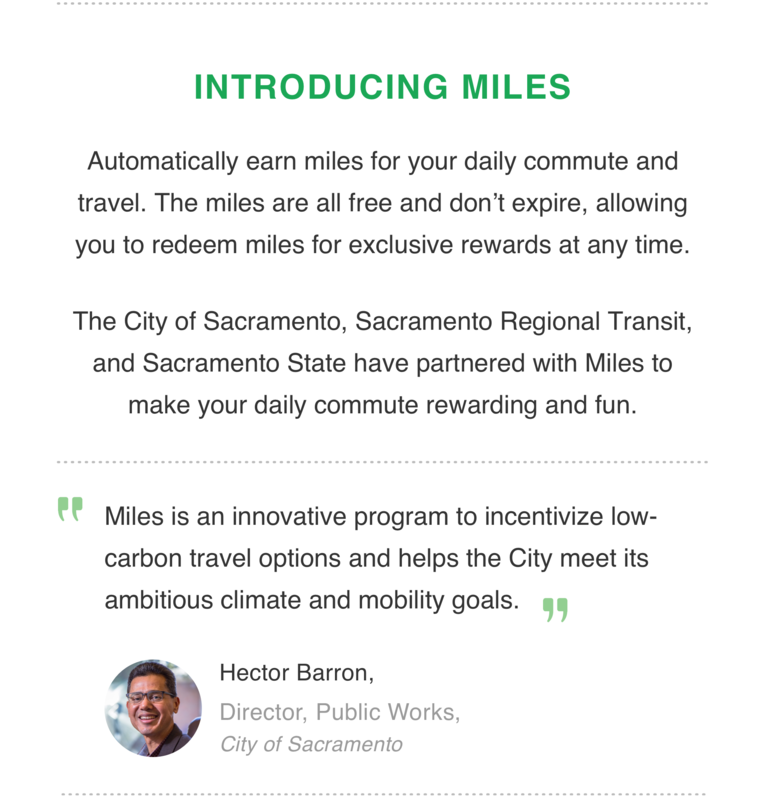 The City of Sacramento, Sacramento Regional Transit, and Sacramento State are excited to announce a new partnership with Miles, a new app that will reward you miles for all of your commute and travel. 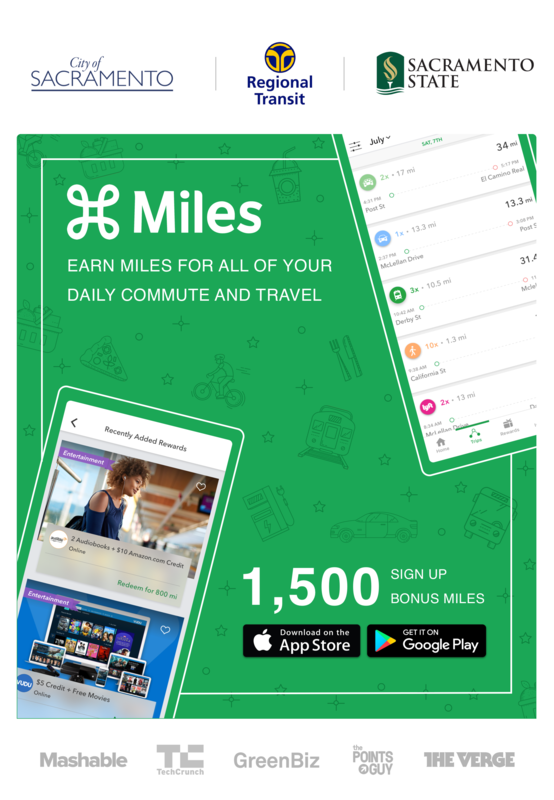 With the Miles app, you can automatically earn miles for your daily travels and you are rewarded bonus miles for your green trips (walk, bike, carpool or transit). Sacramento residents will also be eligible to complete special challenges to earn additional rewards. 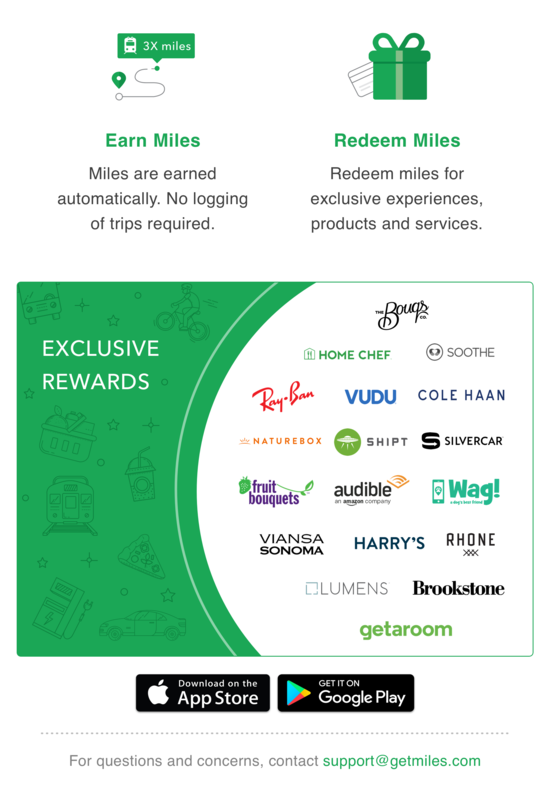 Download the Miles app today to claim your 1,500 bonus miles.